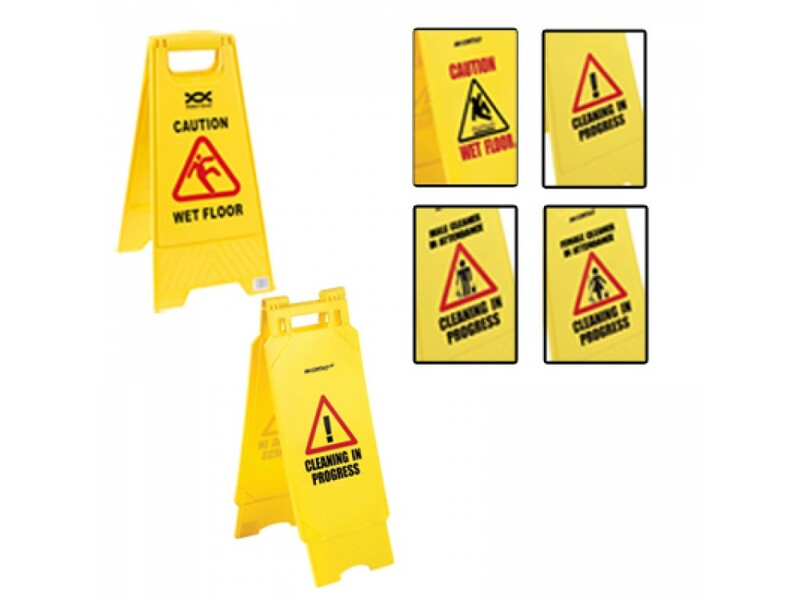 Perfect for providing warning of potential slip and trip hazards that might occur after floor cleaning or spills. 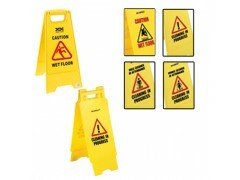 These signs are easy to see in eye-catching bright yellow rigid plastic with vivid red/black graphics on either side. Folding A-frame requires no assembly, folds flat to store and transport on cleaning trolleys. A unique plastic heavy duty sign which folds flat for easy carrying and transportation. Vivid bright yellow with eye-catching red and black signage printed both sides.